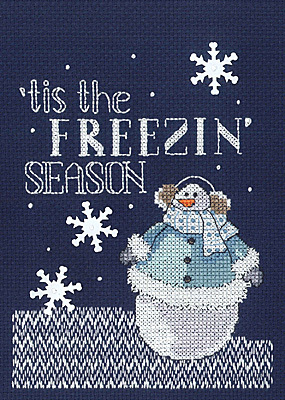 Warm up the season with our fun cross stitch design by Carol Robinson. The bargello stitched ground and sprinkling of snowflake sequins make the design a quick and easy stitch. Each kit includes 14-count navy blue cotton Aida, 6-strand cotton floss, sequins, needle, chart and instructions.